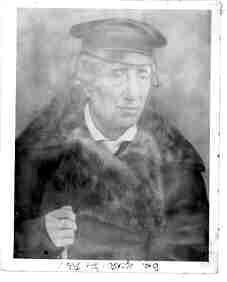 We have found documents dating back to 1850 which have to do with a land dispute between Eliezar and his brother Moishe. This appears to be about the time that Ilya, the father of Eliezar and Moishe died. It also appears to be the time that Moishe Zavelsky left Glukhov for his service with the army. In later years Eliezar and Mina's sons became the owners of a candy factory in Glukhov. The actual site of the factory remains in Glukhov today. Click here to read about Zalmon's children. My great grandfather was married at a fairly young age; about nineteen. Aron was the oldest of Eliezar's sons and was born in Glukhov. With a combination of the documents found in the Nezhin Archives we have come to the following conclusions. Aron Moishe (Moishe Aron) was married twice. The name of his first wife was Charna, it is most probable that she was the older sister of his second wife Tzvia, daughter of Moishe Aron from Nezhin. Aron's four known sons, Ilya, Israel, Mendel, Zalman (Solomon), were the children of his first wife. It appears the children's mother either died in childbirth after her youngest son Zalman (Solomon) was born in 1871, or shortly thereafter. The children were raised for many years by their stepmother and in the case of Solomon, Tzvia was the only mother he knew. 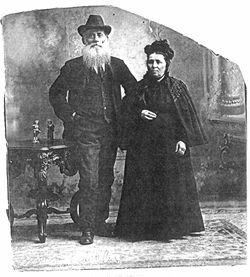 Aron and Tzvia were married in Nezhin in 1873. Tzvia was twenty years of age at the time and Aron was thirty-three. Tzvia's maiden name was Setluchovo. It is probably due to Tzvia's connection to her Nezhin family, that Zalman Zavelsky (Solomon Sovel) was introduced and married to Machla Feiga Chazanov of Nezhin. 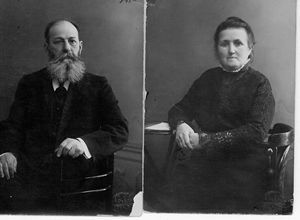 They were married in Nezhin in 1901. It is a possibility that Tzvia may have been a member of the Chaikin or Chazanov families. Aron died somewhere between 1906 and 1909. From the Glukhov Business Directory for 1911-12, we found that Tzvia was selling bread and corn at that time. Kusil was Eliezar's son and we do not know very much about Kusil, but did find out about many of his descendants. From Kusil's death record, which was found in the Priluki archival records, (Priluki is in the same general area as Glukhov) we learned he was born in Glukhov in 1844 and died in Priluki in 1907. He was married to Chana and we have found the names of eight of their children: Moishe, Chaim Gersh, Zalman, Avram, Meyer, Sara, Tzala and Gitel. We know that the two oldest children were born in Glukhov and the two youngest in Priluki. Berel was the third son of Eliezar and Mina. He was born in Glukhov and raised his family there. He is sometimes referred to as Berko or Berk. Berel and his wife Freida had eight children: Gershon Ilya (Elias), Doba, Hannah Gitel, Israel Noah, Hinda, Mina, Moishe and Zavellah. His son Elias left Russia in about 1914 in order to avoid the army. He immigrated to the United States in 1916 and in 1932 to Israel. 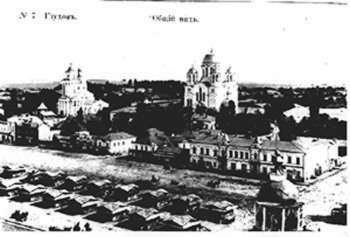 The last that Elais heard of his family was in 1932 when they were still in Glukhov. After that, all correspondence ceased and they were never heard from again. In March of 2000, we have happily learned that the some of the family of Berel did survive the war and their descendants are living in Russia today. We were very pleased that we were contacted. Zalmon and his wife Leah had nine children all born in Russia. : Abraham, Leo, Louis, Myer, Sonia, Mendel, Hannah, Samuel and Isador. The family immigrated to America between 1892 and 1907. Eventually most of them settled in Milwaukee and changed their name to Franklin. Zalmon peddled milk to earn a living in America. According to family rememberances, Zalmon was a very "sweet" man while his wife was a "grand dame." The family remained very close in Milwaukee with weekly get togethers. 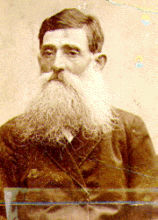 Zalmon died in 1902. 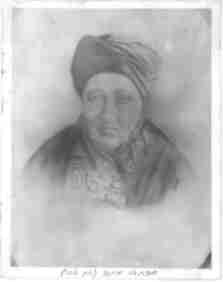 Leah lived with her daughter Sonia until her death in1928 at the age of 84. "1879 - acquired property. Witnessed by her son Meier." This is the only reference we have found. #1...The small houses in the photo show the bazaar area of Glukhov where Eliezar and Mina had their house and shop. #3...Mina Cherwenke Zavelsky ran a tavern and their shop.